Richard Woods abandoned his house in Hoxton Square this June as part of the London Festival of Architecture. ’Upgrade’ was a luridly colourful, large-scale model home, casually abandoned in our roadside SKIP Gallery, a comment on the rapid gentrification of London and beyond. 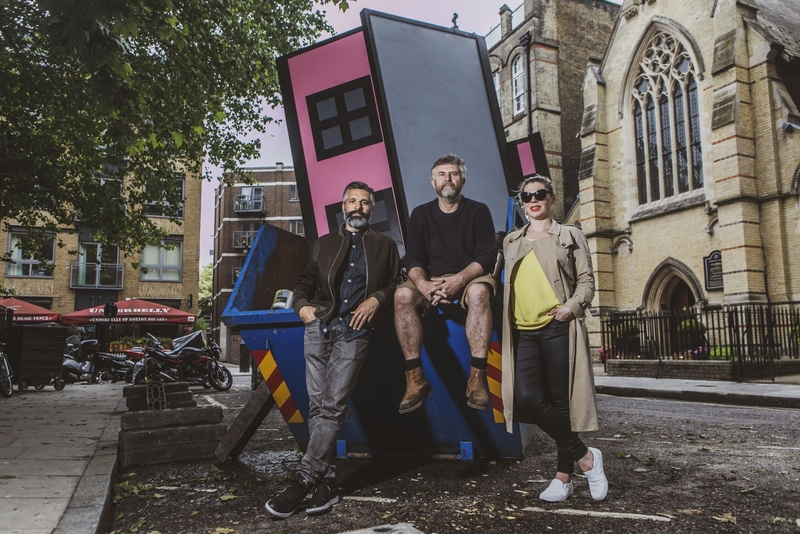 PRODUCE UK founder and artist Catherine Borowski and creative director Lee Baker re-conceived the idea of the exhibition space, presenting the London public with an ongoing series of collaborative, site-specific artworks housed in skips in everyday public locations. Borowski and Baker have collaborated with some of the biggest names in contemporary art, including David Shrigley (Look At This, June 2017), Gavin Turk (Transubstantiation, November 2017) and Ben Eine, as well as ‘the world’s most artistic football club’ AS Velasca in Milan. As well as a buzzing launch that saw gallery-goers pack out the Hoxton parking space, plenty of publications championed its originality. 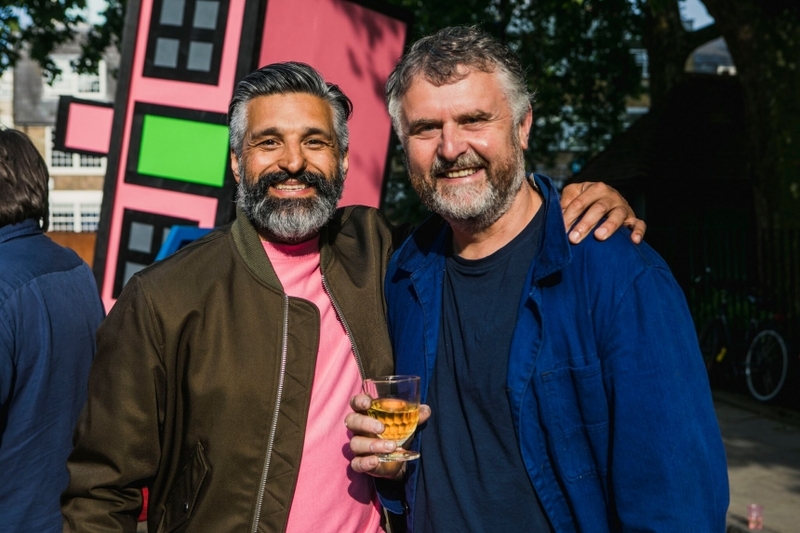 London Evening Standard’s Homes & Property listed the show as one of its London design events not to miss in June, with Wallpaper* dubbing Upgrade as a ’surprising addition’ to the London landscape in its glowing preview. The Spaces praised Upgrade for ‘raising questions about gentrification and a building’s relationship to its site’, while designboom said it ‘invited visitors to reflect on the changes of the city’. Richard’s colourful statement also caught the attention of editor Rosh Thanki and design journalists David Michon, Cajsa Carlson and Alice Morby, who all showed the exhibition some love on Instagram. One of the more unexpected fans was Pulp frontman Jarvis Cocker, who commented wistfully ‘The things people throw away… #houseclearance #skipgallery #modernartisrubbish’ after snapping the provocative piece. But all good things must come to an end, and now SKIP Gallery has packed up and moved on. But never fear, if you missed Upgrade, you can get a feel for the show in the video below or even purchase a limited edition print by Richard commemorating the exhibition, produced in collaboration with Brighton’s The Private Press. SKIP Gallery is completely self-funded so as well as giving Richard’s home a home, you’ll be supporting future SKIP adventures. To discover where this itinerant art space will be popping up next, follow SKIP Gallery on Instagram. With special thanks to Zetteler and Radio Alice and the residents of Hoxton Square.